I am a registered and fully insured veterinary physiotherapist of the Institute of Registered Veterinary and Animal Physiotherapists (IRVAP, http://www.irvap.org.uk). I gained a level 7 post-graduate Advanced Certificate in Veterinary Physiotherapy (AdvCertVPhys) and my Clinical Educator's Certificate (CertEdVPT) through Canine and Equine Physiotherapy Training (CEPT, http://www.ceptraining.co.uk/) in 2016 and 2017. To further improve my knowledge of rehabilitation and conditioning I completed my diploma in small animal hydrotherapy in 2018. I have also graduated from Imperial College London with an MSci Biology degree. My first experience with veterinary physiotherapy came about when my own dog had intensive rehabilitation work following a femoral head and neck osteotomy in 2009. 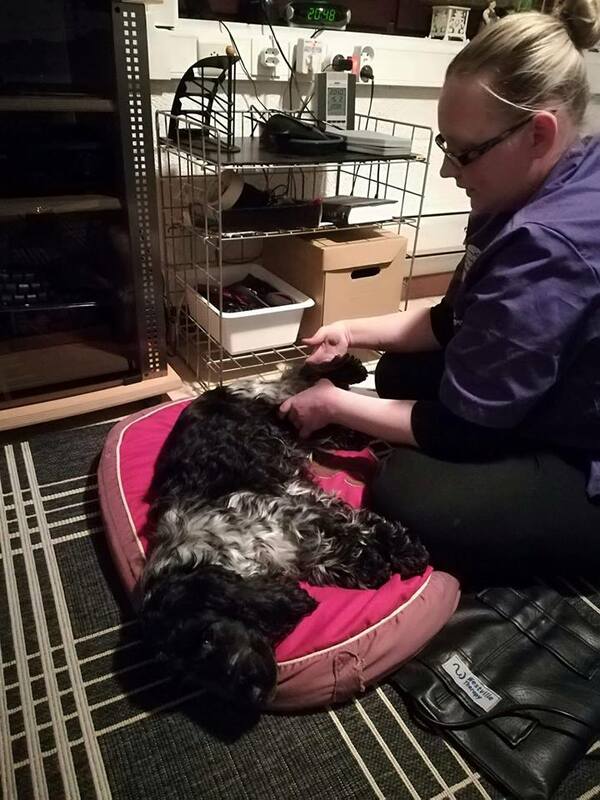 After seeing the dramatic difference physiotherapy had on my own dog post-surgery, I became very passionate about learning more about veterinary physiotherapy and the work involved in it. I attended numerous courses on physiotherapy, massage techniques, and anatomical lectures with a focus on how structure affects stress points in animals. In 2014 I decided to have a career change, and fully dedicate my time to working with animals. I am currently in my dream profession helping dogs gain condition and prevent injury, rehabilitating and helping to gain full function post injury and improving their quality of life. I am very passionate about working with animals and have a firm science background. As a result I have a desire to stay up-to-date with research, courses and proven techniques and will continue my professional education through CPD days and further courses. My girls, Tesla (left) and Data (right), both have gained stamina and agility from incorporating conditioning and core work to our normal trainings. 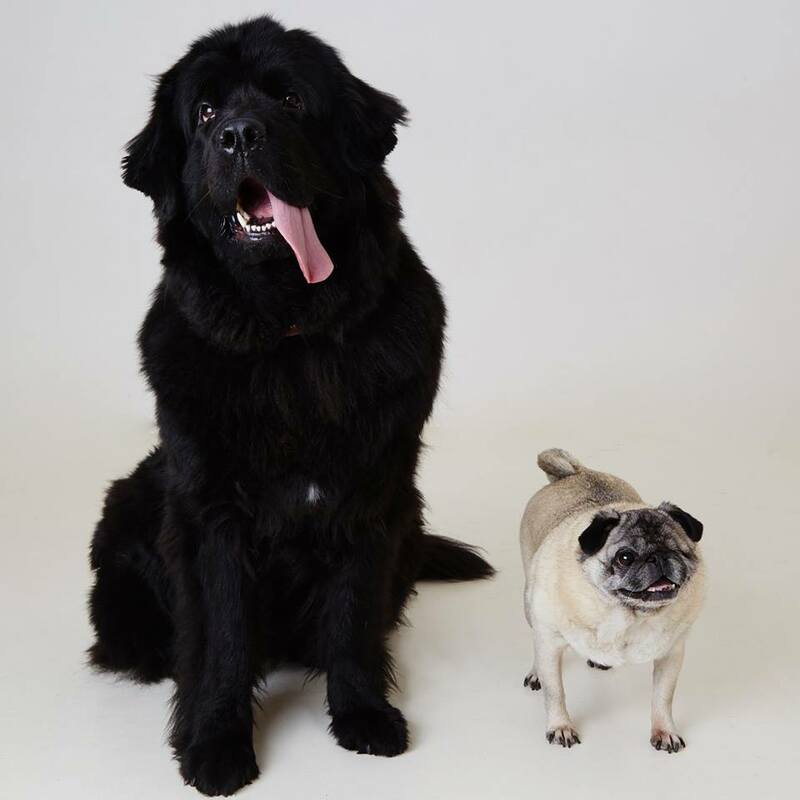 My practical knowledge of the working dog is based on training Newfoundland dogs for water rescue and breeding them for working conditions (affix Kivisilmän, http://www.watercubs.com). Through my work, I have actively seen how much structure influences the dogs' swimming abilities, and realized the importance of both on land and in water conditioning in injury prevention and return to function after surgeries in working dogs. I have written and published three books on Newfoundland grooming and water rescue training. If you see me at events, please do not hesitate to come and have a chat!